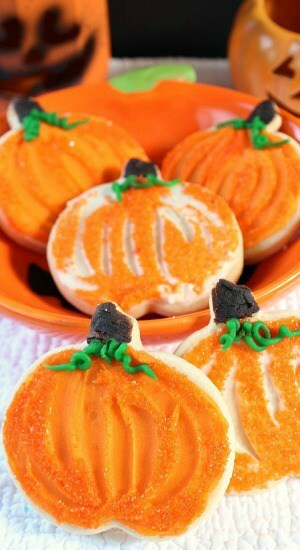 For all of my non-vegan friends, here are some Halloween sugar cookies that you are sure to enjoy! I actually made these last year before we started our whole foods, plant-based diet, and when I ran across these pictures, I wanted to share them with you since Halloween is right around the corner. And for all my vegan friends, with this recipe, you can substitute earth balance® butter for regular butter, earth balance® vegetable shortening for shortening, unsweetened vanilla almond milk for regular milk, and Ener-G egg replacer® can be a substitute for the egg. 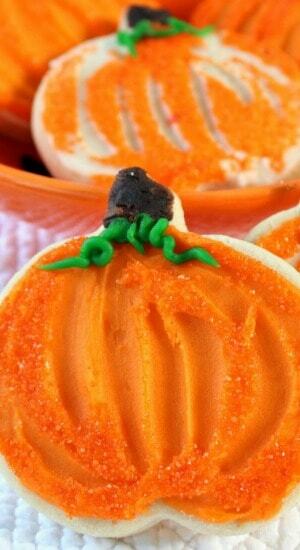 Then you will have yourself a dairy free, vegan, Halloween sugar cookie! 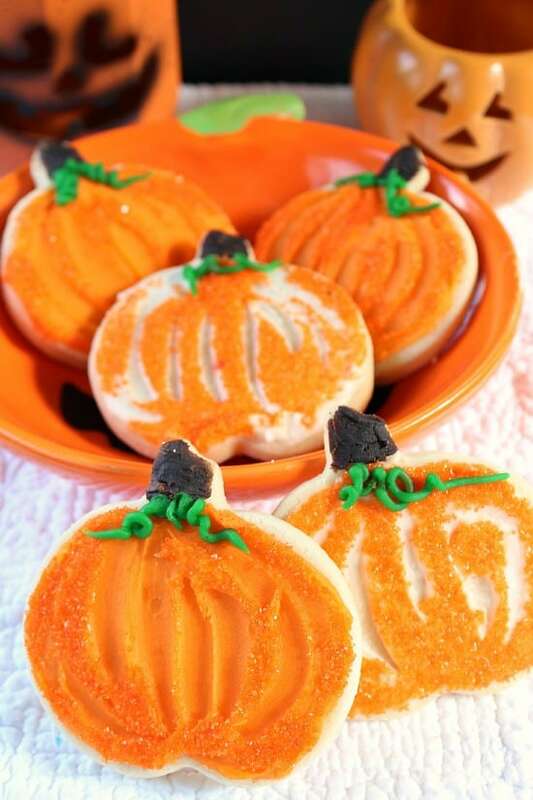 I will make these Halloween sugar cookies again using all the healthy ingredients. For over 30 plus years, I have been making my Christmas cookies (this is the recipe for those too), and this year I will be making the adjustments so that the cookies are vegan. I’m really excited to make a healthier version of these delicious cookies! 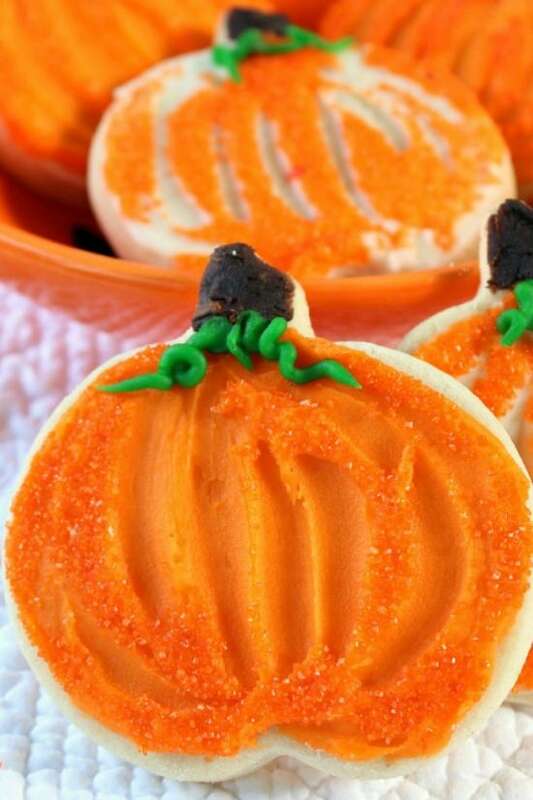 Let me know if you try the healthier version of these Halloween sugar cookies. I will be posting a new recipe for these cookies at a later time but for now, here is my original recipe for my sugar cookies that I have made forever! In a medium bowl, mix together, butter, shortening, sugar and egg. Add vanilla and milk. Mix well until combined. Gradually stir in flour and baking soda scraping down the sides of bowl. Roll out a small amount of dough on a floured surface to about ¼″ thick and cut into shapes. Place on cookie sheets and bake until edges just start to brown. Approximately 10-12 minutes. Let sit on cookie sheets for a few minutes then transfer to cooling rack. In a medium bowl, cream butter, milk, and vanilla together. Gradually stir in powder sugar and beat until smooth and creamy. 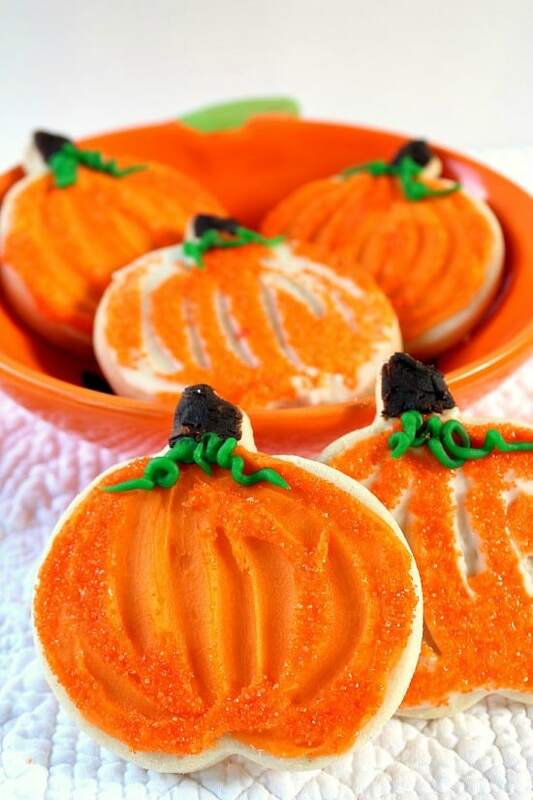 Put white frosting in two bowls, add orange food coloring to one of the bowls, stir. Here’s a little cookie tip for you from my friend Nancy…. When rolling out your cookie dough, mix flour and powdered sugar 50/50. Use this mixture and your cookies will taste much better and not leave a flour taste in your mouth. What is the baking temp for these? Thanks! Thank you Amy for letting me know I forgot to add that! 325° is the temperature. Cook until edges turn slightly brown. Approximately 10-14 minutes. Great! Thanks! Can’t wait to make these! !